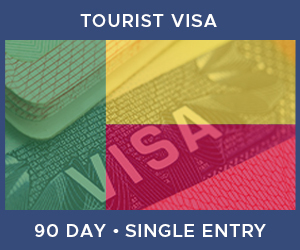 This page allows a Citizen of the United Kingdom to purchase a Single Entry Tourist Visa for Benin. A Single Entry Visa to Benin will allow entry to the country on one occasion for up to the maximum stay within the validity period. Re-entry is not allowed. If you need the ability to return to the country within the same validity period you should choose a different visa type.